Spreadsheets, and End-User Computing (EUC) applications at large, are still being used extensively by organisations today. In many cases, they are supporting critical business activities and enabling users to perform analysis that otherwise would be difficult or time-consuming. However numerous studies, and instances in the press, have shown that there is significant risk where best practise is not adhered to. In Protiviti’s experience, around 1 in 5 complex spreadsheets performing a ‘black box’ calculation contain a material financial misstatement. Protiviti Spreadsheet Analytics has over 15 years of experience helping clients with spreadsheet issues and end-user computing risk. Our methodology is based on real business need and built on practical experience. 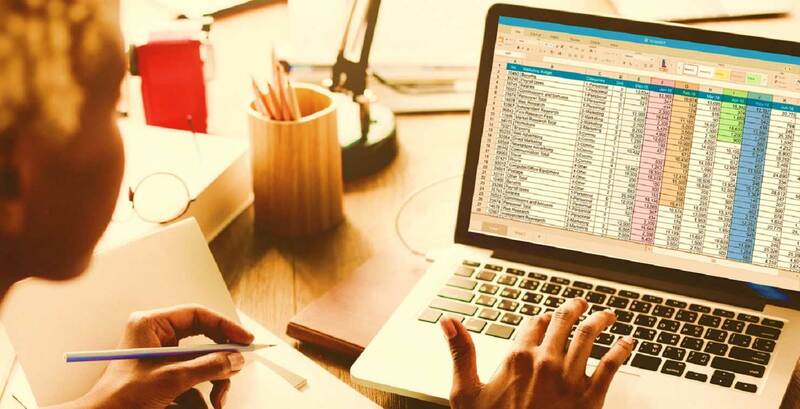 We can help with all phases of a spreadsheet project, from building a spreadsheet inventory and performing a risk assessment to implementing an effective yet pragmatic spreadsheet risk management framework and assisting with software selection and configuration. Assessment and report on the inherent risk and likelihood of error of spreadsheets provided for review. Protiviti will provide recommendations on the risk level of the overall spreadsheet estate and next steps / actions to reduce risk and enhance control and efficiency. Detailed assessment of spreadsheets based on our spreadsheet risk framework. Identify areas of improvement on each file reviewed and provide recommendations based on best practice and governance standards. Deliver training through various methods including classroom sessions, computer-based training, guidebooks etc. Provide training to users to embed best practise and enhance their understanding of design considerations to reduce risk, enhance controls and improve efficiency. Review and compare existing policy against best practice standards. Lead workshops to understand the current governance process and identify desired state. Refresh existing policy or develop new policy based on client requirements. Identify and document key processes linked to spreadsheets critical to your business. Implement on-going sustainability through the creation of a robust Spreadsheet Inventory Process and Tool. Leverage technology to maintain, monitor and manage spreadsheets. Define Target Operating Model, including training, policy validation, data governance, inventory management, and review / remediation based on best practice standards. Develop on going sustainability leveraging technology, including RPA & process mining. Join us on Thursday, April 25, 2019 GMT for our webinar on Spreadsheet Analytics, Process Discovery and the Road to Automation. This webinar will walk attendees through common challenges presented by over reliance on spreadsheets.